Generally, as most of us get older, we have a very good idea of what our likes and dislikes are. Recently, though, I have been thinking about doing some things that I know I do not enjoy or usually want to do. It’s an odd feeling. As I wrote before, I don’t like to be outdoors. Maybe I spent too much time outside when I was growing up, but the great outdoors has far too many hazards and discomforts for me to want to spend hours there. I know there are people who love the outdoors and spend a lot of time there, and that’s all right. They can have my share. The odd thing is, I’ve been thinking about aboriginal Americans who lived very close to nature. Whether their shelter was a lodge or teepee or pueblo, they had to have been aware of the elements. With a fire for heating and breezes for cooling they were right in the midst of nature. I have been camping exactly once in my life. I was ten years old, and I remember not sleeping much and just about starving since each of us was responsible for his own food. 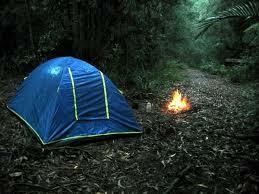 Lately, though, I been wondering what it would be like to stay outside in a tent. I could pitch one in my back yard and not be that far away from the comforts of the indoors. Of course, I’d have to buy almost everything I need, including a tent. I do have a sleeping bag from my daughters’ Girl Scout days. It’s a thought, but a strange one for me. Still, I find myself thinking that being outside with nothing but a thin nylon wall between me and the outdoors would be intriguing, although I’d probably wait until spring to try it. Then there’s traveling. I’ve decided I don’t like to travel. Oh, I like to see different places, particularly places with history and good restaurants and good bookstores, but actually getting there is pain. I don’t care for driving, which is mostly monotonous and occasionally terrifying. My wife is a great driver (and a wizard parallel parker, even left-handed), so she does most of the driving when we go somewhere. I do the navigating, and I’m good at that, except when I’m not. That’s a subject for an entire column, but not just now. Anyhow, if there were a Star Trek-style transporter available, I’d use one, even at the risk of scrambling my molecules. To be able to be some place instantly has a huge appeal for me. And don’t even think about flying. That used to be fun and an adventure, but I don’t have to tell you what a pain it has become. No, I’m comfortable where I am, with everything I need right here. That’s why my travel impulse is a strange one. I’d like to fly around the world. I’m not talking about flying around the world non-stop on one tank of gas. What I’m thinking would be fun would be to fly around the world using scheduled flights. I’ve checked and it’s possible. It would take about three days. I think I would like to go business class since I would plan to be on an airplane most of the time. I wouldn’t even leave the airports or clear customs—I would just go right on to the next flight. This is even crazier when I consider that I am mildly claustrophobic. That’s why business class. I could leave on a Friday and be back Monday if my calculations are correct. It would be cool to say I had done it. Then, I’ve been having an impulse lately to have another career. That’s not that unusual for an early retiree like me, but I’m talking about an entirely different career. When I was in my early teens I wanted to be a rocket scientist. (I was too tall to be an astronaut then.) What dissuaded me from this career path was the sad reality that I was not very good at math, and math is important to being rocket scientists. My impulse is to take science and math classes and earn a degree in astronautical engineering. I figure with the coursework I’ve done already I can skip the core classes and things like phys ed. and go right on to advanced science classes. It would be a whole lot easier for me to earn an M.F.A. in creative writing, but becoming a rocket scientist in my 60’s sounds much more appealing, even if I am probably worse at math than I was in high school. Grandma Moses started painting when she was in her 80’s, so maybe I do have a future with NASA. So I have these random impulses, but I’ve found if I lie down for a while, they soon pass. Thank goodness for small favors.